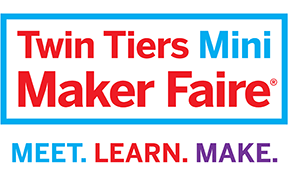 Our Maker Faire is on Saturday, April 27th, 10am-3pm at SUNY Corning Community College, this year! The event is FREE and open to all ages. Find out more about the event here: https://twintiers.makerfaire.com/. Use the following link to select Chemung County Library District as your charitable organization of choice and Amazon will donate 0.5% of the purchase price of eligible items to the library: http://smile.amazon.com/ch/20-3878699.